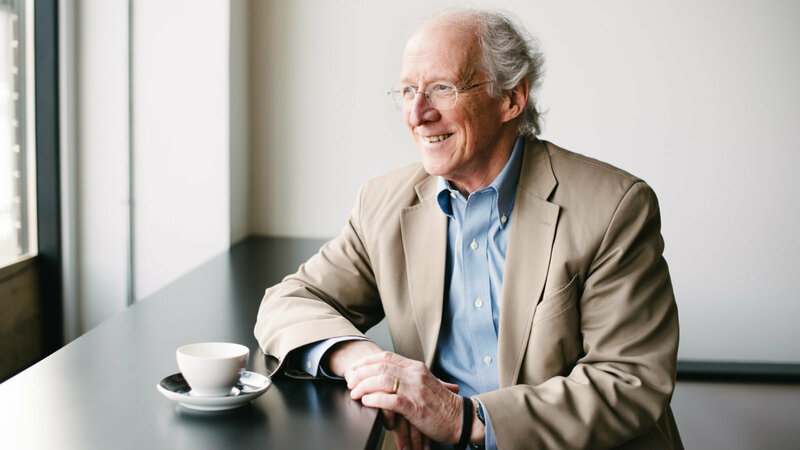 Another great post by John Piper – very needful at this hour. Enjoy! “At 70, I am energized to dream great things, because this year Hillary turns 69, Bernie turns 75, and Donald turns 70. My rising energy has nothing to do with their policies or character. It has to do with the incredible fact that all of them want to spend their seventies doing the hardest job in the world. This is wonderfully counter-cultural. I doubt that it’s motivated by a passion to magnify the greatness of Jesus. But that makes it all the more inspiring for me, because nothing gets me more excited than spending my seventies spreading a passion for the glory of Christ and his word. Paul is still my hero when he says, “My eager expectation and hope is that Christ will be magnified in my body, whether by life or by death” (Philippians 1:20). So if Hillary and Bernie and Donald want to bear the weight of the world for the next four to eight years out of man-centered, philanthropic motives, I find my seventy-something zeal for Jesus heating up. They only get to be president of a tiny territory called the U.S.A. I get to be an ambassador of the Sovereign of the universe. They only get to change the way some people live for a few decades. I get to change the way some people live forever — with a lot of good spill-over for this world in the process. But this is not an article mainly about me. It’s about the 70 million Baby Boomers coming behind me. I’m the oldest (born in 1946; the youngest born in 1964). Ten thousand Americans turn 70 every day. And they will continue to do so for about nineteen years. Billions of dollars are spent every year trying to get us to waste the last chapter of our lives on leisure. I’m spending one afternoon to plead with the rising seventy-somethings:Don’t waste it. Hillary, Bernie, and Donald are not unique. Let them — and all the others — inspire you. Winston Churchill became the prime minister of the United Kingdom in 1940 at the age of 66. He wielded his mighty eloquence against the Nazis till he was 70. Six years later, he was reelected and served till he was 81. At 82, he wrote A History of the English-Speaking Peoples. At 70, Benjamin Franklin helped draft the Declaration of Independence. John Glenn became the oldest person to go into space at age 77. At the same age, Grandma Moses started painting. Started! At 82, Goethe finished writing his famous Faust. At 89, Albert Schweitzer ran a hospital in Africa. At 93, Strom Thurmond won reelection after promising not to run again at age 99. He lived to be 100. At 93, P.G. Wodehouse worked on his 97th novel, got knighted, and then died. I heard J. Oswald Sanders lecture when he was 89. He said, “I have written a book a year since I was 70.” So I have just arrived at the beginning of this writing life. The beginning! What a thrilling example! Most men don’t die of old age, they die of retirement. I read somewhere that half the men retiring in the state of New York die within two years. Save your life and you’ll lose it. Just like other drugs, other psychological addictions, retirement is a virulent disease, not a blessing. . . . Where in the Bible do they see that? Did Moses retire? Did Paul retire? Peter? John? Do military officers retire in the middle of a war? I am not unaware — my body makes me aware — that not everyone has the wonderful privilege of health and resources in old age. Over four million people over 65 live in poverty. Millions more suffer from the dreaded woes of aging — heart disease, arthritis, cancer, lung disease, Alzheimer’s, osteoporosis. Not to mention the typical loss of hearing and eyesight and energy. I do not want to add a burden to those who would love to dream with me, but can’t act on their dreams. You have your calling to live where you are, with all your weaknesses, for the glory of Christ. And, yes, he does get glory in our weaknesses (2 Corinthians 12:9–10). God has great promises for those of you who trust your precious and ever-present Savior, Jesus Christ: “Even to your old age I am he, and to gray hairs I will carry you. I have made, and I will bear; I will carry and will save” (Isaiah 46:4). Rather, I am writing to the 25 million Americans over 65 who are healthy and have resources — and to the seven thousand Boomers who turn 70 every day with health and wealth. I am inviting you to look around you. Look at Hillary and Bernie and Donald, and thousands of others, who are dreaming their dreams. Whatever their motives are, what are yours? “Jesus gave himself for us to purify for himself a people who are zealous for good works” (Titus 2:14). No age limit. Zealous. Passionate. To the end. For good works. Works that he has gifted you to do. He has given you a lifetime of experience and wisdom and resources. You have a decade of freedom in front of you. This is a trust. All your previous life was designed for this season of fruitfulness. What is your dream? “The righteous . . . still bear fruit in old age . . . to declare that the Lord is upright” (Psalm 92:12–15). Why would God tell us that? Because he wants us to dream that. He wants us to pray for that. Not everyone gets the privilege. Some die young. Some must bear the burden of immobilizing pain. But millions of you are free. If you do not dream a joyful dream of productive service for Christ in your seventies, what will you say to the Savior? Your only excuse will be that you listened to the voice of this age rather than to God’s. It will not be a good excuse. The apostle Paul was on his way to evangelize Spain when he died in his sixties (Romans 15:23–28). He called himself an “old man” (Philemon 1:9). But as an “old man,” he planned, while he had breath, to do all he could for Christ and his kingdom. Spending the last season of his life playing games in a perishing world was not in his plan. It should not be in yours. Join the happy psalmist: “My mouth is filled with your praise, and with your glory all the day. Do not cast me off in the time of old age; forsake me not when my strength is spent” (Psalm 71:8–9). We have good reason to believe God will answer that prayer for Christ’s sake. Break free from the spirit of this age. See the world — see your life — the way God sees it. In his reckoning, sweet soul-rest begins when you are born again (Hebrews 4:3, 10), and rest from our labor — true retirement — begins when you die. Make no mistake. The Bible believes in retirement. It’s called heaven. Then the new earth. It lasts forever. Compared to it, this life is a vapor’s breath. All our trials here are “a light and momentary affliction” that are preparing for us an “eternal weight of glory beyond all comparison” (2 Corinthians 4:17). Keep your eyes on this prize. Such a rest the world has never dreamed of. “Blessed are the dead who die in the Lord . . . that they may rest from their labors, for their deeds follow them!” (Revelation 14:13). Be up and doing. Joyfully. For Christ. Full of hope. This entry was posted in Uncategorized and tagged How to Grow Old, john piper, retirement by ivanjamestruman. Bookmark the permalink.